Jada Theertham is located on the Dhanushkodi road. As per Hindu Mythology, Lord Rama washed his hair (Jada) by taking a dip in this Theertham before proceeding to worship Shiv Ling in Ramanathaswamy Temple. The water in this tank which is surrounded by sand dunes is as sweet as coconut tree. 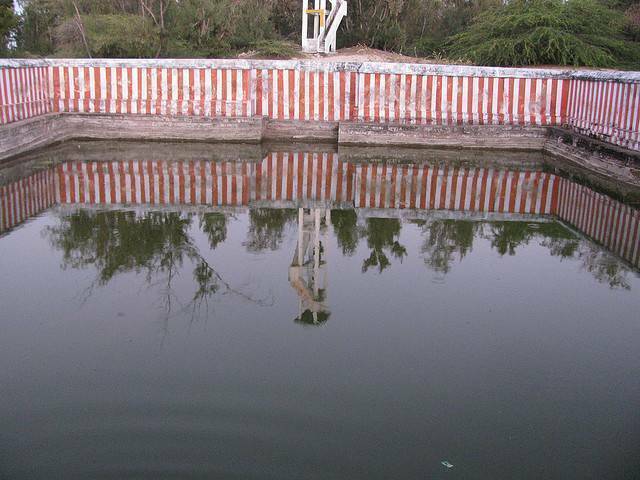 Tourists can also see Jada Theertham temple within the Kaveri Theertham premises. This temple is very small temple under the trunk of huge Peepal Tree. Local people believe that all deities in Rameswaram come here to take rest.